The main topic of discussion on the Nolan show on TV last night was the inevitability or otherwise of a border poll following Brexit. I was phoned and asked would I be willing to appear, then emailed and told they had only ‘pencilled in’ participants, and finally emailed and told to take my cocoa and go to bed (that last one is not to be taken literally). Had I been on and asked, I’d have pointed out that the Good Friday Agreement includes a clause where a border poll can take place. That’s the good news. The bad news is that the decision as to when it happens rests in the tiny hands and tiny brain of the British Secretary of State and no one else. Just as the campaign leading up to the Brexit referendum didn’t think of the consequences for the border dividing Ireland, the negotiations leading to the Good Friday Agreement didn’t stop to think how absurd it was to place the starting whistle for a border poll in the mouth of the British SoS. And there’s more. The Good Friday Agreement says that the SoS will call a border poll only when s/he is convinced there is a majority wish for it – that is, when s/he believes it will be won. So by blowing her whistle, Karen Bradley would be publicly signaling that Britain was getting ready to pack its bags and finally move out. Can you imagine how slow she’d be to do that? Any border poll campaign would do well to learn from the Brexit referendum balls-up. The big mistake the Brexiteers made (apart from voting to leave) was that they made no preparations for leaving, hence the many headless chickens to be found these days in the Westminster district. Irish nationalists and republicans would do well to learn from this and put together as detailed a picture as they can, showing what a reunited Ireland might look like. To paint that picture, they need to learn from respectful and thoughtful meetings with unionists of all stripes. Unlike with the Brexit referendum, those voting in a referendum on Irish unity should know what they’re voting for. Nationalists and republicans would also do well to get their timing right. If they insist on a vote in the immediate aftermath of the Brexit departure – 29 March – the dust will not have settled and the damaging consequences may not have begun to show in all their bruised and slashed goriness. Give people a year or two of job loss and trade disruption, and the notion of being in the EU with the south of Ireland may begin to look a lot more favourable. On the other hand, leave it too long after the Brexit date and the economy could have begun to have its wounds bound and bandaged, and some voters might decide that sure doesn’t life involve suffering, we’ll soldier on as we are. The great truth is that people learn best and most quickly from experience. 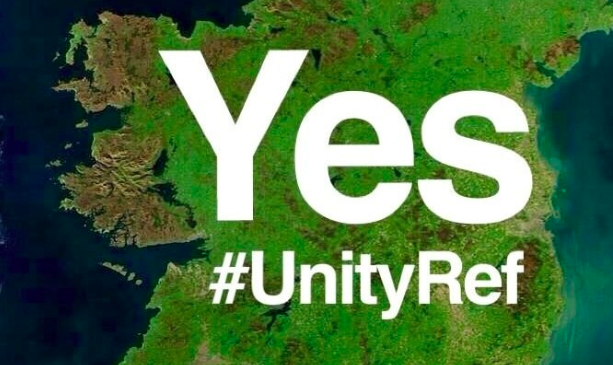 If those at present opposed to a reunited Ireland discovered in talks that those in favour were actually rational people who genuinely wanted an Ireland united not just politically but socially; and if Brexit proved to be the self-harming experience it looks like being, an awful lot of Never Never Never Nevers could well turn into Yes Yes Yes I said Yes. The PSNI: a new police service. You sure about that?